What sets Cypress Truck Lines apart from the competition? Simply put, we care about our employees. Cypress Truck Lines believes in the old motto of an honest day’s pay for an honest day’s work. We know our drivers work hard to deliver on-time goods in the safest manner possible. We reward that dedication. With our mix of freight, we have plenty of opportunities to keep drivers and miles going year-round. With our local, regional and OTR runs, we can help our driver strike that needed balance between making a living and quality home time with family. And with our industry-leading equipment and safety features, Cypress makes sure drivers can perform their best with peace of mind. Our drivers aren’t just a “number.” They’re family. With all that and more, Cypress Truck Lines truly is the best in the industry. Do I need previous flatbed experience for Cypress Truck Lines to hire me? Absolutely not. Many of our best drivers came aboard with little to no flatbed experience. If you’ve driven a van, tanker, reefer or other types of machinery, then it’s likely you already have the skills needed. We’ll train you, too. Cypress will provide you with 1- 7 weeks of flatbed securement training and you’ll be paid $100 per day, with a $500 per week maximum. Those with six months of verifiable flatbed experience will be evaluated during orientation with the potential to be assigned a truck after orientation and a road test, and all drivers will be evaluated for proper securement know-how and trained. Does Cypress Truck Lines hire owner-operators? 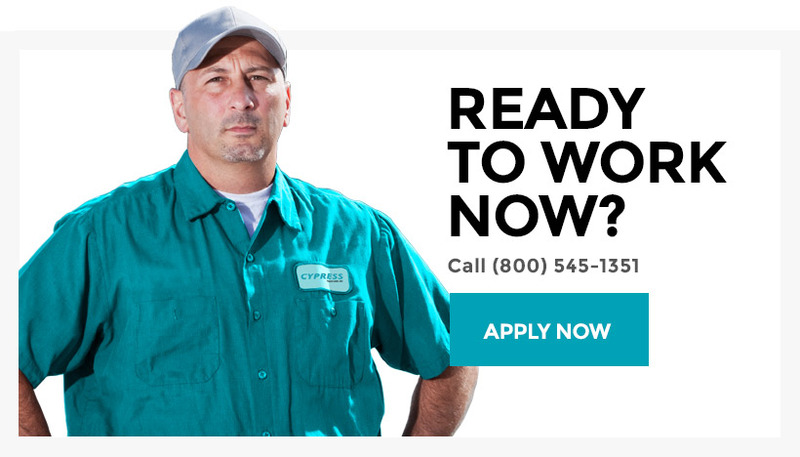 Does Cypress Truck Lines hire teams? We have some teams, but are currently not recruiting teams. The majority of our freight delivers in a day and the haul length isn’t advantageous for teams. This can change based on customer needs, but there are no opportunities at this time. I applied at Cypress Truck Lines. How do I find out about my application status? You can call the recruiting department at (800) 545-1351 to make sure your application was received. Standard processing time is usually less than 24 hours. What is Cypress Truck Lines’ policy for home time during training? We know home time is important. However, we cannot guarantee it during training. It’s best to plan to be out for the length of your assigned training period. Where will I attend orientation? How long does it take? New drivers will attend orientation in Jacksonville, Fla.; Smyrna, Ga.; or Abilene, Texas. Orientation usually last the full week. What if I am outside the area? How will I get to and from orientation? If you live more than 50 miles from the terminal and are attending orientation, Cypress Truck Lines will provide you with a bus ticket. What do I need to bring to orientation? 10 years of employment history with good phone numbers and dates. If you were self-employed within the past 10 years, bring verification via a W2 or tax forms. If you’ve had unemployment time in the past 10 years, bring verification. This includes letter from friends and family (not including immediate family) or unemployment check stubs. A copy of your DD214, if you were in the service in the past 10 years. A voiced check or deposit slip along with your bank’s address and phone numbers, all for direct deposit. Your best bet is to bring whatever you don’t want to purchase after you arrive. Don’t get carried away, though — just bring what you need. It is important to be prepared to leave from orientation to go out on the road with your trainer for 1-7weeks (contingent on your assigned length of training) . Your recruiter will provide you with a more detailed list once you are scheduled to attend orientation. Casual, but no shorts, tennis shoes, sandals or cowboy boots. You’ll also need work boots, preferably non-slip. Don’t forget to bring extra clothes for your stay. How much am I being paid during orientation? You’ll receive $100 per day, with a maximum of $500 a week. Is lodging and food provided during orientation? Lodging is provided during your stay, unless you live within 50 miles of the terminal. All meals are up to the individual. What should I expect on Day One? Orientation starts at 8 a.m., except for the Abilene, Texas, orientation that starts at 8:30 a.m. Do NOT be late. There will be a U.S. Department of Transportation physical and drug screening, along with all your payroll and insurance paperwork being taken care of at this time. After, there will be instructional videos and short teaching sessions. Will I have to take a physical and drug test? Yes. Almost all trucking companies require these, whether you’ve recently had them or not. Will I have to go with a Cypress driver trainer? Anyone with less than six months of flatbed experience will ride with an experienced trainer for six weeks. Those with six months or more of flatbed trucking experience will be evaluated and assigned two- to six weeks of training. Orientation will determine how much flatbed securement training you’ll need. What type of truck will I receive? Is it assigned to me or do I have a slip-seat? Cypress Truck Lines has a wide selection of equipment — we run Peterbilts, Freightliners and Internationals, and currently have about 500 units on the road. All trucks are assigned. Are there any additional endorsements or requirements needed I need to drive for Cypress Truck Lines? No, we don’t require endorsements. However, in order to gain access to U.S. Ports, you must have a Transportation Work Identification Credential (TWIC). You can begin the pre-registration process in orientation and the fees can be deducted from payroll. I stopped driving several years ago, but still have a current Class A CDL. Will Cypress Truck Lines hire me? If you meet our hiring standards and your application is approved by our Driver Applicant Review Committee, we can help, although there will be required refresher training. This can amount to one- to four extra weeks, depending on specific needs. The training department will evaluate your skills after you arrive for orientation to determine that amount. Recruiting will provide you with an educated guess. Does Cypress Truck Lines have a van division? We have a limited van division that dispatches mostly out of Smyrna, Ga.
Do you use electronic logging? Yes, Cypress Truck Lines uses 100% electronic logs. Do you offer per diem? Does Cypress Truck Lines offer a lease-purchase program? Our main terminal is located in Jacksonville, Fla. We have others in Tampa, Fla.; Smyrna, Ga., Abilene, Texas; and Wilmington, N.C.
Can I bring the truck and trailer home on weekends? Our drivers take their equipment home under the condition they live 50 or more miles from one of our terminals and they have a safe, secure place to park. How much tarping will I have to do and will I get paid for it? Fortunately, 85% of our loaded are preloaded and pre-tarped. However, when you do have to live load, tarp or poly, we have accessorial pay. How much money can I make at Cypress Truck Lines? It depends on how many miles you drive, but our drivers generally make between $50,000 and $75,000 a year. Flatbed and Superior experience rates subject to management approval. Payroll runs weekly and can be direct deposited. Or, you can have a check mailed to you.